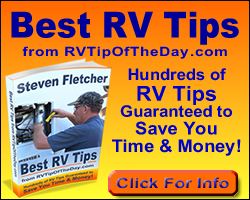 GAFFNEY, S.C. – Feb. 19, 2010 – The adventure of camping has always been an irresistible draw to RV owners. Now, Freightliner Custom Chassis Corporation (FCCC) is giving enthusiasts a chance to explore their own recreational vehicles at two-day adventure of camping sessions, Feb. - Nov. 2010. Nearly 30 individual Camp Freightliner sessions are offered Feb. – Nov. 2010. See http://bit.ly/7MDzKj for specific information. For a limited time, interested pilots and co-pilots can participate in the February Camp Freightliner classes (Feb. 15-16 or Feb. 18-19) for a discounted rate of just $100 for both attendees, a 33 percent savings. Regular pricing for Camp sessions are $150 for pilot and co-pilot registration. Camp Freightliner accommodations include full hook-ups and discounted camping rates are also available at the local Spartanburg KOA campground. 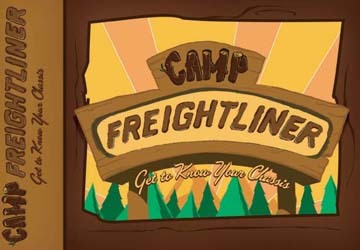 Camp Freightliner will host a cookout dinner for participants the first evening of each session. "We recently opened Camp Freightliner to anyone who might be interested in moving from a towable or fifth wheel to a Class A motorhome, or for people who just want to learn more about owning a motorhome, so we could educate them about chassis maintenance and give them an understanding what goes into owning and operating a Class A RV," said Dave Hoover, customer support manager at FCCC.